We’re a snacker family. Whether it’s something to munch on while blogging or an afternoon snack for a little something before dinner – snacking this family does. I think one of the larger problems we have is finding healthy snacks that people actually like to eat. I’ve gotten “healthy” snacks before, only to have them sit on a shelf because people didn’t like the flavor. With Del Monte Fruit Cups, I finally have a healthy snack that this family will eat. 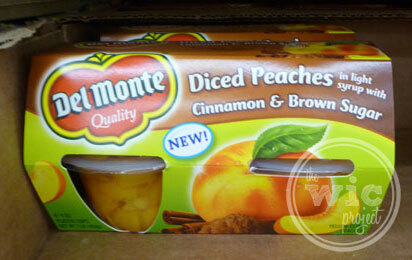 On a recent Walmart shopping trip, I was amazing to discover some of the new flavors of Del Monte Fruit Cups. The flavors have gone beyond Diced Peachess. Now they have gourmet sounding (and tasting) flavors like Diced Apples & Pears in extra light syrup with Caramel flavor and Diced Pears with Vanilla Spice. They also had an almost southern-style fruit cup with their Diced Peaches with Cinnamon & Brown Sugar. The first step to eating and snacking healthier is to have healthier foods available. 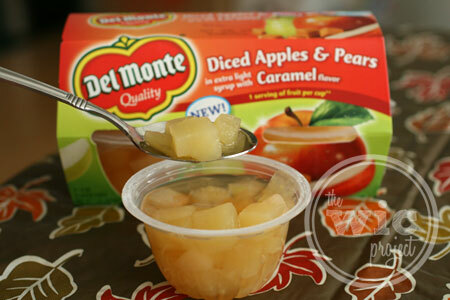 We decided to pick-up a package of the Del Monte Diced Apples & Pears with Caramel and a package of the Del Monte Diced Pears with Vanilla & Spice. I was happy to see that one cup is equivalent to one serving of fruit. Since some people don’t like fresh fruit, this is a great way to help them get the needed servings of fruits and vegetables each day. While I can’t speak for the kids (although I’m sure I will), the Diced Apples & Pears with Caramel flavor is awesome! For adults the caramel flavors adds a little more depth than just regular fruit. For the kids, the caramel flavor makes it taste almost like caramel apples. The caramel flavor is definitely present but isn’t too strong or too weak. 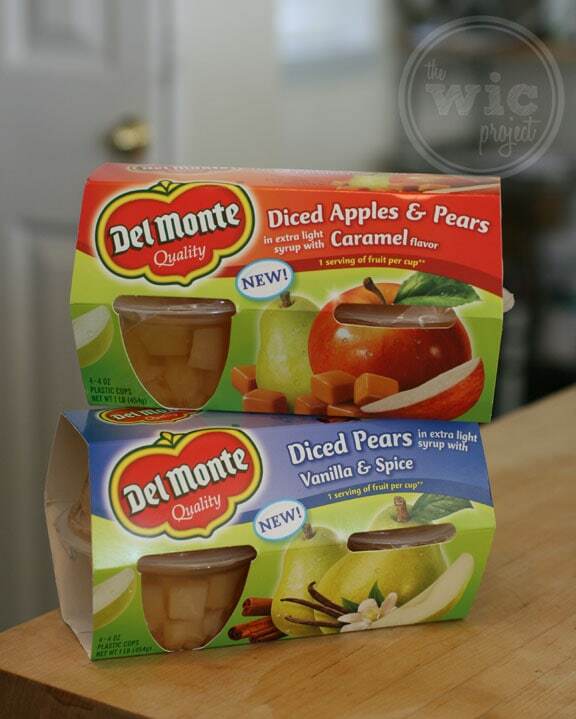 We haven’t tried the Del Monte Diced Pears with Vanilla & Spice, but if they’re as good as the Diced Apples & Pears with Caramel (which I suspect they will be) then it’ll be another win for Del Monte Fruit Cups and another win for healthier snacking. 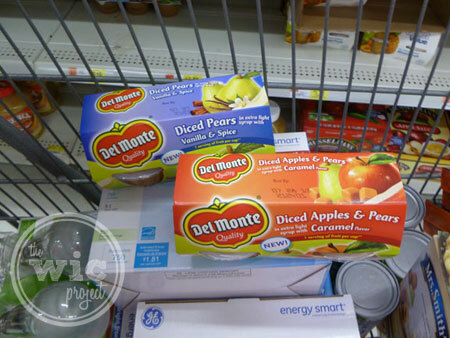 Del Monte Fruit Cups are such an easy way to integrate a healthier snack option into our eating habits. Swap out a pack of sugary treats or chips and replace it with a Del Monte Fruit Cup in your child or spouse’s lunch. Keep a few cups on hand for any afternoon cravings you might have. 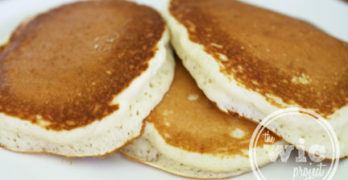 The light syrup is just enough to give you a hint of sweet without boatloads of sugar. 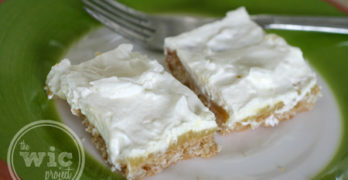 What are some of your family’s health snack favorites? Disclaimer: I am a member of the Collective Bias™ Social Fabric® Community. This shop has been compensated as part of a social shopper insights study for Collective Bias™ and Del Monte #CBias #SocialFabric. All opinions are my own. I love del monte’s products. I’ve seen these and been debating on trying them. We’re a snacking family and I’ve been trying to make sure that we’re snacking on healthier things lately. Cutting out the chips, cookies, candy, etc. I’m going to have to break down and go ahead and try these. You make them sound so delicious. Thanks for sharing.